The 1More Triple Driver are well-built, slick-looking in-ears with an above-average sound quality for critical listening. They're decently comfortable and stable enough to exercise with and include a sturdy case that makes them easy to have on you at all times. Unfortunately, they don't block a lot of ambient noise so they won't be the ideal headphones to use in loud environments or while commuting. Mediocre noise isolation for an in-ear. The 1More Triple Driver have an understated yet polished design that makes them look and feel like premium headphones. They're slightly more comfortable than regular in-ears, and they're stable enough to go running with. They're also easy to carry around on your person, as they fit into most pockets and even come with a good, hard carrying case. Unfortunately, the in-ear design may be less comfortable for some, and since they're not wireless or have any stability tips, they won't be the ideal headphones for high-intensity activities or sports. The 1More E1001 have a simple design that feels well made. 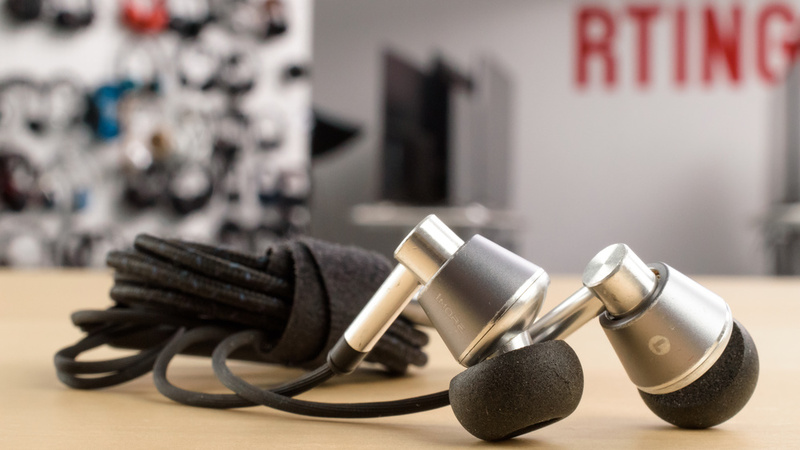 The earbuds have a brushed metal finish that feels high-end and a two tone cable that's both rubberized (for the cables that connect to the earbuds) and coated in a flexible fabric, which further adds to their premium feel. The titanium color scheme is a bit more understated than the black color variant, but both color schemes are not particularly flashy, so they won't stand out in a crowd. The 1More Triple Driver are decently comfortable and super lightweight headphones. They're angled and do not enter as deeply into the ear canal. Therefore, they won't be as fatiguing as some of the other in-ears we've tested. They also have a wide range of different tip sizes and types (including foam tips) to help you find a fit that's more comfortable for you. However, if you do not find in-ear headphones comfortable, then you will have the same issues with the 1More. 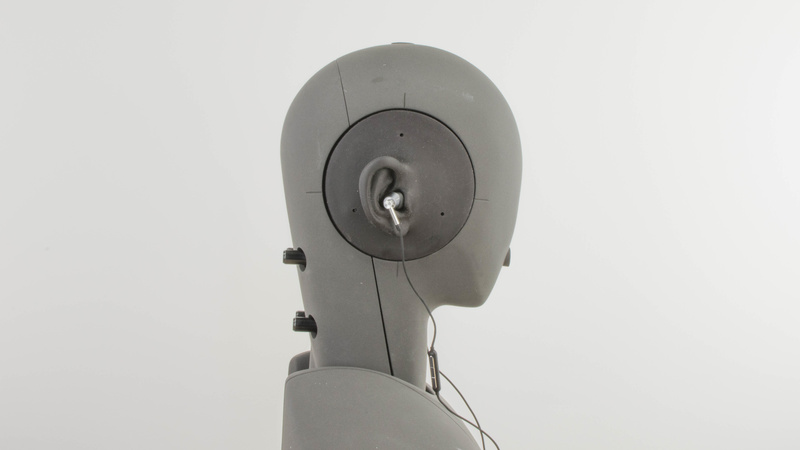 These headphones have a straightforward and efficient control scheme. 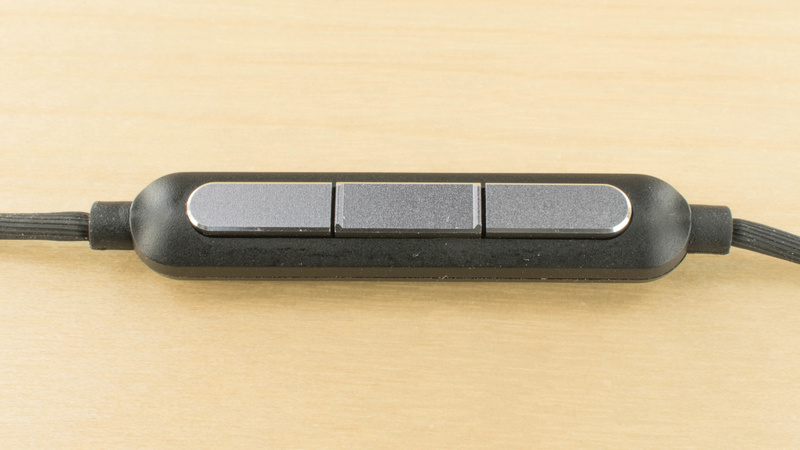 The buttons are well spaced out, clicky and give you the essential functions; play/pause/call, track skipping, and volume controls. 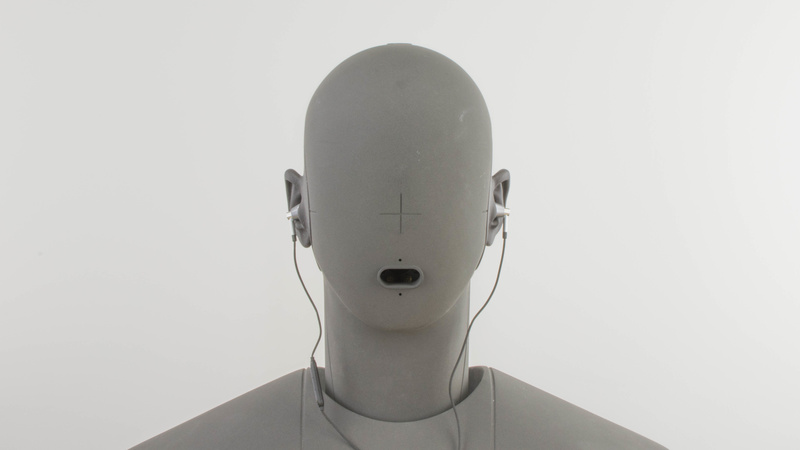 The 1More Triple Driver, like most in-ear headphones, are very breathable. They only trap a negligible amount of heat within the ear canal which shouldn't make you sweat more than usual when exercising. The outer-ear remains relatively cool in all conditions, which make them a decent choice for sports and long listening sessions as long as you do mind the in-ear fit. 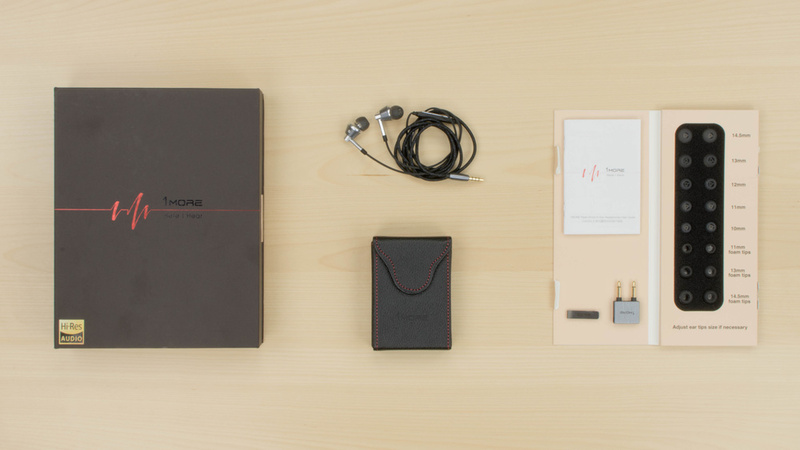 The 1More Tripler Driver are ultra-portable headphones. Like most in-ears, they have a small footprint and can easily fit into most pockets. They're super easy to carry around on your person even with the slightly bulkier case. These headphones come with a stylized hard case that's a bit bulky but should still fit into most pockets and bags. It will protect the headphones from scratches, drops, and impacts as well as minor water damage. The 1More Triple Drivers are surprisingly well built, although not as well-built as the Etymotic ER4XR. At first glance, they look like regular in-ears, but upon closer inspection, you notice that the materials used in their build quality feel high-end and durable. 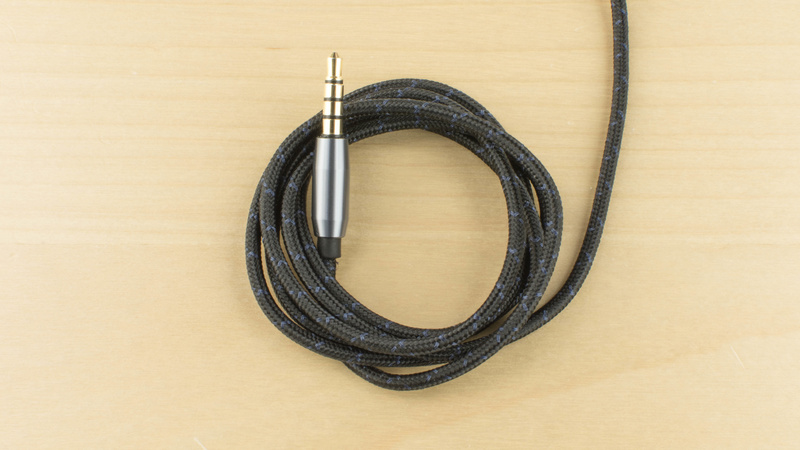 The audio cable is decently thick, rubberized and coated with a flexible fabric which adds to their durability. The earbuds are also metal, so they won't break if you accidentally drop them. However, the cables leading to the earbuds are much thinner than the rest of the audio cable which could wear and tear over time. The cable is also non-replaceable, unlike some of the other,in-ears we've tested like the Tin Audio T2, KZ AS-10, or the BGVP DM6. The headphones are as stable as most in-ears that do not have any stability tips. However, if you can get a good fit, then they won't move much even when running or exercising. They're so lightweight that unless you pull them out yourself or the cable gets hooked on something, they will rarely fall out of your ears. The 1More Triple do not come with any additional cables. The 1More Triple Drivers is a decent sounding pair of closed-back in-ear headphones. These headphones have deep, consistent and punchy bass, making them well-suited for a variety of genres, including EDM and Hip-hop. They also have a very even mid-range, and a well-balanced treble. However, their bass tends to sound a bit muddy and cluttered, their mid-range is a bit recessed and underemphasized on vocals, and their treble lacks some detail. Additionally, they have great imaging, but like most other in-ears, don't have a large and speaker-like soundstage. The bass is very good. The LFE (low-frequency extension) is at 13Hz, which is excellent. Accordingly, low-bass is within 0.3dB of our target. This indicates an extended and deep bass, which is just the right amount of thump and rumble. Mid-bass, responsible for the body of bass guitar and the punch of kick drums, is even, balanced, and relatively flat. However, high-bass is overemphasized by 3dB, which makes the bass of these headphones a bit boomy and muddy. The mid-range performance of the 1More Triple Driver is very good. 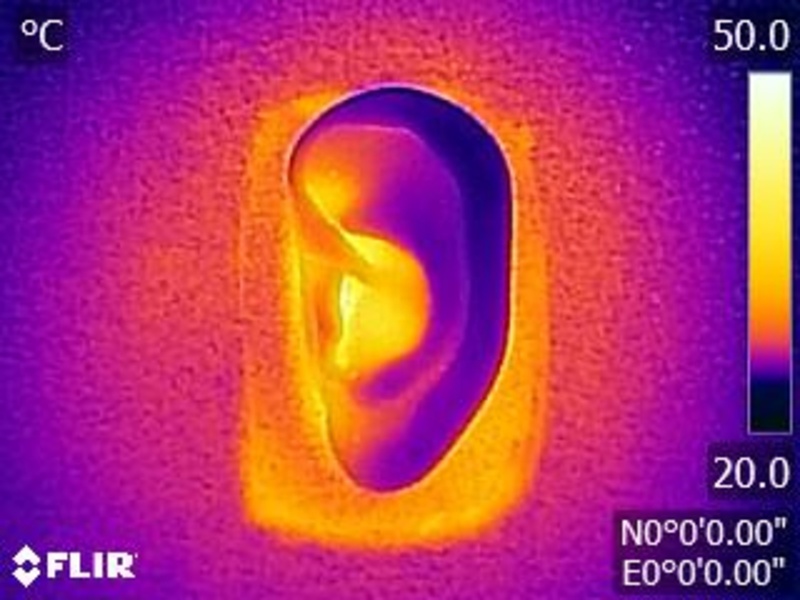 The response is quite even, but with a 7dB wide recess centered around 700Hz. This pushes vocals and lead instruments towards the back of the mix, by giving more emphasis to the lower frequencies. The treble range is very good. Low-treble is even and well-balanced, but mid-treble shows a narrow but 8dB dip around 6KHz. This will have a small but noticeable effect on the brightness and detail of vocals, lead instruments, and cymbals. The frequency response consistency of the Triple Driver is excellent. If the user is able to achieve a proper seal using the assortment of tips that come with the headphones, then they should be able to get the same bass and treble delivery each time they use the headphones. The imaging is great. Their weighted group delay is 0.15, which is very low. The GD graph also shows that the entire group delay response is below our audibility threshold, suggesting a tight bass and a transparent treble reproduction. Additionally, the L/R drivers of our test unit were very well-match, ensuring an accurate placement and localization of objects (instruments, voices, footsteps) in the stereo image. The 1More Triple Drivers have a poor soundstage. Creating a large and speaker-like soundstage is partially dependent on having a speaker-like pinna activation. However, due to their in-ear design, the 1More bypass the pinna and don't interact with it. 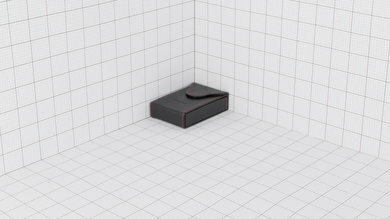 Therefore, their soundstage will be perceived to be small and located inside the listener's head. Their closed-back design also means that their soundstage won't feel as open as open-back earbuds like the Apple AirPods and the Bose SoundSport Free. The 1More Triple Drivers have a very good harmonic distortion performance. The overall amount of harmonic distortion produced is quite low throughout the range. There is a rise in the distortion as the volume increases, but it remains within good limits. The 1More Triple Driver are passive headphones that only block ambient noise from seeping into your audio if you can achieve a good seal. Unfortunately, since these headphones do not go in as deeply as most in-ears, they do not isolate as well. They won't be ideal to use in loud noisy environments, but on the upside, they do not leak much. You can have your music playing at high volumes and not distract those around you. The isolation performance is decent. These in-ears don't have ANC (active noise cancellation) and isolate passively. In the bass range, occupied by the rumble of airplane and bus engines, they achieved about 2dB of isolation, which is barely noticeable. There are other in-ears that can achieve a lot more isolation in the bass range without ANC, like the X3 and the BeatsX. In mid-range, important for cutting out speech, they achieved about 15dB of isolation, which is good. 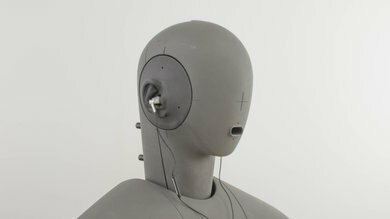 In the treble range, occupied by sharp S and T sounds, they reduce outside noise by more than 32dB, which is also good. The leakage performance is excellent. Due to their closed-back in-ear design, these headphones do not leak in the bass and mid ranges, and the significant portion of their leakage is between 3KHz and 6KHz, which is quite a narrow range. This indicates a leakage that is very thin sounding and mostly consist of S and Ts (sibilances). The overall level of the leakage is not very loud either, peaking at around 60dB SPL at 1 foot away, which is just above the noise floor of most offices. The in-line mic is decent. 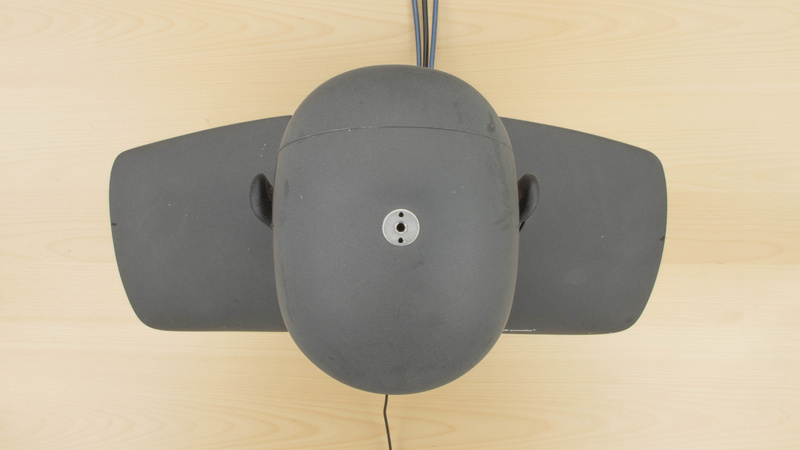 In quiet environments, speech recorded or transmitted with this microphone will sound relatively thin, but relatively open-sounding and quite easy to understand. It may lack a bit of detail and brightness though. In noisy environments, they will struggle to separate speech from ambient noise in moderate and loud places, like a busy street or a subway station. The in-line mic of the 1More Triple Driver has a good recording quality. The LFE (low-frequency extension) of 289Hz indicates a speech sounds relatively thin. The HFE (high-frequency extension) of 13KHz, is quite good, but there's also a noticeable dip between 3KHz and 10KHz. 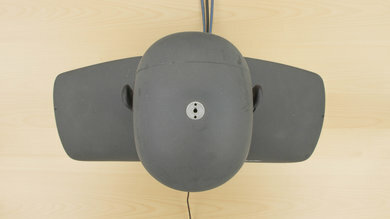 This shows that speech recorded or transmitted with this mic will lack some detail and brightness, but will be more airy and open-sounding than most Bluetooth mics. The microphone is mediocre at noise handling. 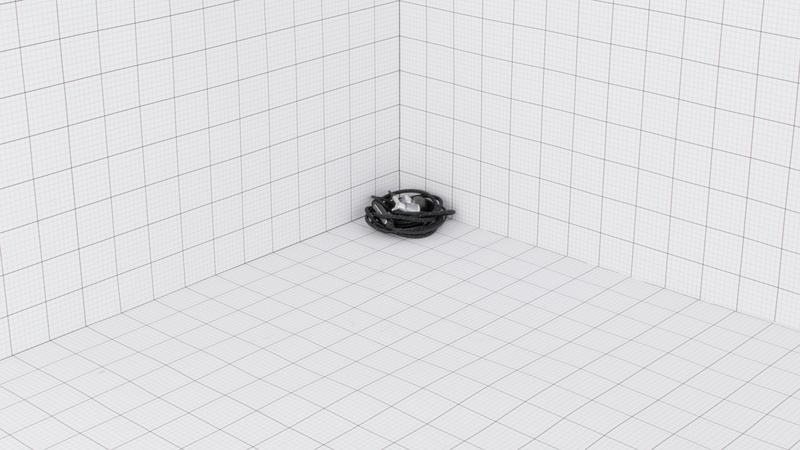 In our SpNR test, they achieved a speech-to-noise ratio of 14dB, indicating they are best suited for quiet environments. They are passable in moderately loud environments, like a busy street, but they will struggle to separate speech from ambient noise in loud situations. These are passive, wired headphones with no active features. The Triple Driver In-Ear are passive headphones and do not require a battery. These headphones have no compatible app support. The 1More Triple Driver are passive, wired headphones, so they only connect to other devices via their 1/8" TRRS audio cable. On the upside, the non-detachable cable has no latency and is not OS specific so the inline mic is compatible with consoles and PCs. Unfortunately, the limited range of a wired connection isn't as convenient as the range of wireless headphones. The earbuds are wired and do not have a Bluetooth connection. If you want a versatile wireless Bluetooth headphone for around the same price and sound quality, consider the Skullcandy Grind. The 1More Triple Driver headphones have a 1/8TRRS audio cable with an inline remote microphone that's compatible with consoles and PCs. The 1More Triple Driver do not have a dock. If you need a headset with a dock that also has a wired connection for gaming or watching movies, then consider the SteelSeries Arctis 7. These headphones are wired and do not have a wireless range. The 1More Triple Driver have negligible latency since they're wired, so they are a suitable option for gaming and watching movies. The 1More Triple Driver are one of the better performing wired in-ears that we've tested so far. They have a good audio reproduction, a compact design and a surprisingly sturdy build quality for their price range. They outperform some of the more expensive in-ear headphones on the market, and they're a good wired option for most use cases but won't be as convenient as some of the other wireless and truly wireless headphones available. See our recommendations for the best closed-back headphones and the best wired headphones. The 1More Triple Driver In-Ear are slightly better than the KZ AS-10. The 1More have better accurate audio reproduction and also have an in-line remote with volume control, while the mic version of the AS-10 doesn’t even have this feature. On the other hand, the AS-10 look better and have a more durable build quality, especially thanks to the braided and replaceable cable. They look and feel more premium than the 1More Triple Driver. The 1More Triple Driver In-Ear are on par, if not slightly better than the KZ ZS-10 thanks to the in-line remote. The 1More have a slightly better balanced audio reproduction than the KZ. They also come with a great in-line remote and have volume controls, unlike the mic version of the KZ (which should be a bit more versatile than the variant we reviewed). The KZs, on the other hand, have a more durable build quality, thanks to the replaceable cable. They also look a little more premium due to the transparent casings for the earbuds and the braided audio cable. The 1More Triple Driver In-Ear are a slightly better headphone than the Sennheiser HD1 In-Ear/Sennheiser Momentum In-Ear. The 1Mores have a more durable build quality than the Sennheisers. 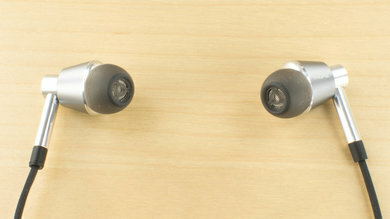 They also come with more tip sizes, so they will fit better and more comfortably than the HD1 In-Ear. The 1Mores also have a better sound and a universal in-line remote that will work with most devices unlike the HD1's OS specific audio cable. On the upside, the HD1 have slightly better isolation and a unique look that some may prefer over the Triple Drivers. The 1More Triple Driver In-Ear are more versatile headphones thanks to their in-line remote and microphone, but if you don’t mind that the TIN Audio T2 are missing it, the TIN are better-built headphones. They isolate more ambient noise and leak less. Both have similar sound signatures, but the T2 have a less recessed mid-range. On the other hand, the 1More Triple come with a nice hard case that doesn’t add too much bulk. The 1More Triple Driver In-Ear have a better sound than the TIN Audio T3, and are also more convenient as they have an in-line remote with controls and a microphone. Their audio quality is decent and neutral. 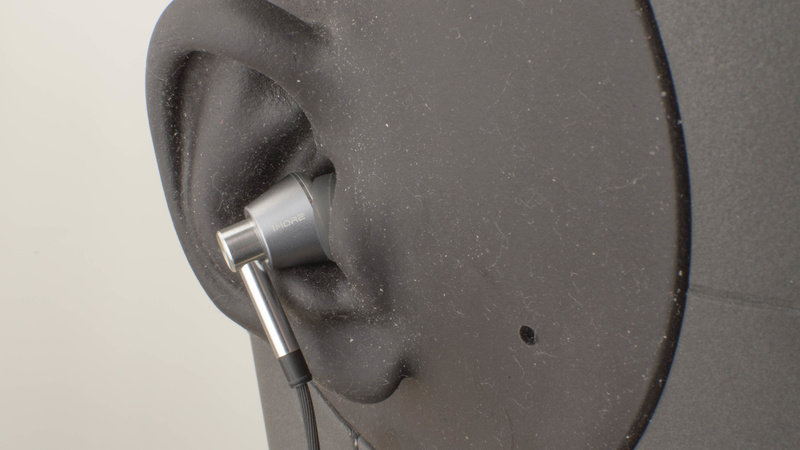 On the other hand, the T3 are better-built headphones and feel more durable than the 1More. They also isolate more ambient noise and will be better suited for commuting. The 1More Triple Driver In-Ear are slightly better headphones overall than the Westone W40. The Westone have a more durable and premium design. 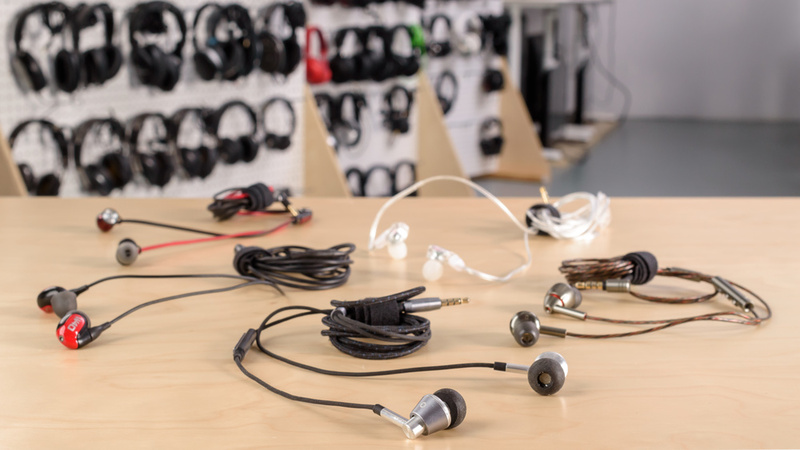 They also have replaceable cables, a better carrying case, and a more comfortable in-ear fit with a lot of tip options. They also have better noise isolation, which makes them a bit more suitable to use in noisy conditions. On the other hand, the 1More sound better balanced than the Westones. They also offer a better value for your money and many tip options to help you find the right fit. The 1More Triple Driver In-Ear are better critical listening in-ears than the BGVP DM6. Their audio reproduction is flatter and more accurate. They also have an in-line remote and microphone, which is convenient. They are also slightly more comfortable than the DM6. However, the BGVP headphones are better-built and feel more high-end. Their ear-hook design is also more stable for sports and, if you can achieve a nice fit, they isolate a great amount of ambient noise. The 1More Triple Driver are better than average mixed usage headphones. 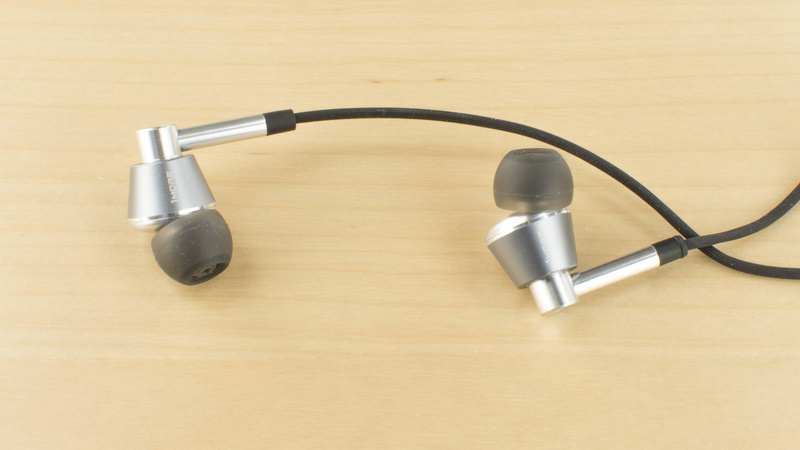 They're comfortable for an in-ear design and easy to carry around. They also have a well-balanced sound that's good for casual and even critical listening. However, their lack of isolation and active features means they won't be the most versatile headphones to use in all situations. The 1More Triple Driver have a balanced sound but lack soundstage due to their design. This makes them a good pair of headphones as they reproduce tracks with an above-average fidelity, on par with much more expensive in-ear models. However, for more critical listeners, they may not be ideal because they lack the ambiance that large, open headphones provide. Above-average for commuting. They're very portable and have a good control scheme, but they do not isolate well enough for the loud environments involved in commuting via public transit. Good for sports use. They have a decently stable in-ear fit with many varying tip sizes. They're also quite easy to carry on your person at all times and have a good control scheme. However, the cable may get hooked on something and yank the headphones out of your ears. 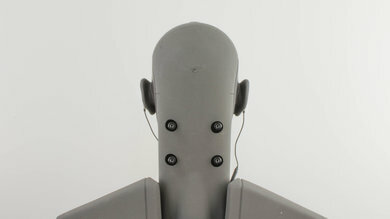 Also, their in-ear design might not be as comfortable for everyone. Average for office use. They barely leak so can have your music playing at high volumes and not distract your colleagues. However, they do not block ambient noise well so they won't be most suitable headphones if you have a very lively or noisy office. Mediocre for home theater use. They have no latency but a relatively short audio cable. This means they would be a good option for watching movies on a tablet or PC but won't have the range to watch TV from your couch unless you have an extension cord for the audio cable. Average for gaming. The 1More Triple Driver have a wired connection, so they have negligible latency which is suitable for gaming. They also have a decent microphone that's compatible with consoles and PCs and a well-balanced sound. Unfortunately, they lack a good app to customize their sound profile, like most gaming headsets, and the in-ear fit may not be as comfortable for all listeners especially for long gaming sessions.